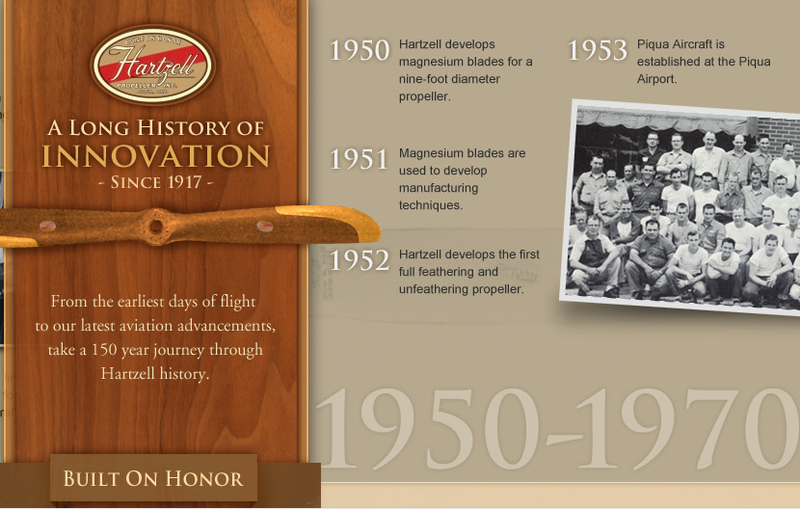 If you have a keen eye and have checked out the historical timeline for Hartzell Propeller, you may have seen that in 1950 we developed magnesium alloy propeller blades for a 9-foot diameter propeller, and went on to use magnesium blades in 1951 to develop manufacturing techniques. But how common were magnesium propellers, and why were they manufactured in the first place? Like aluminum, magnesium is a lightweight metal. It’s also incredibly strong. The combination of strength and lightness made it a popular building material. However, magnesium is also highly flammable, which limited its uses to components for transport and consumer goods that were not actively exposed to heat. Magnesium production began in earnest at the turn of the century as magnesium and its alloys were used to create things like car parts, trailer bodies, and even aircraft. Work started on the first magnesium propellers in the early 1930’s, and they entered full commercial production in 1933. By 1935, the aircraft industry was the single largest consumer of magnesium, which was used to build everything from propellers to fuel tanks. In fact, during World War II in the UK, the demand for magnesium for aircraft was so high that magnesium was prohibited from being used in the construction of any other transportation or consumer good. Today, propeller blades are typically made from aluminum alloy, structural composite or wood laminates. Here at Hartzell, we focus on aerospace grade aluminum blades or carbon fiber composite blades integrated into a co-molded stainless steel shank. Our propellers are engineered for both turboprop and piston engine applications, and designed to optimize aircraft performance. What type of prop is right for your plane? Check out some of our modern options.